Welcome to the “best of the best” in luxury real estate Scottsdale and the world. 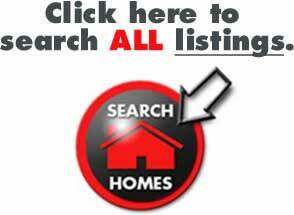 Look below for our featured luxury homes. Then explore all the other million plus homes currently on the market in the Valley of the Sun. Select one of the links below that is right for you. Luxury real estate Scottsdale takes you into the world of luxury real estate like no other website. Experience a video tour of Scottsdale by clicking here. When you’re ready to buy a luxury home we’re in a position to give you the best skill set the valley has to offer in the luxury real estate Scottsdale market. We specialize in Scottsdale luxury real estate and market many of the homes currently for sale giving us a unique perspective for our buyer clients. As Certified Luxury Home Specialists and members of the Institute for Luxury Home Marketing where we have been recognized as leaders in the luxury home market and presented the Million Dollar Guild Award for the successful marketing of million dollar plus homes.Luxury real estate Scottsdale takes you into the world of luxury real estate like no other website. We have provided access to all of the million dollars homes currently on the market across the Scottsdale Phoenix metro area covering all of Maricopa County in the Valley of the Sun. If you’re interested in purchasing a luxury home please call or email us when your ready to preview properties and we will begin the process of finding a house you can call home. Take advantage of our free home finder service.